SOMDIAA provides recognized expertise in Africa in the areas of agriculture and agro-industrial techniques. SOMDIAA boasts a selection of technological solutions as well as environment-friendly, exclusive and sharp know-how. 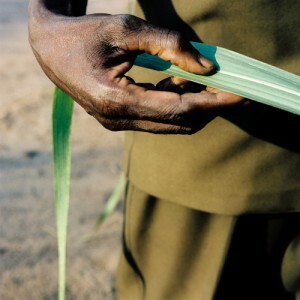 SOMDIAA Group’s expertise in the area of farming is now refocused on perennial sugar cane monoculture in Central Africa. 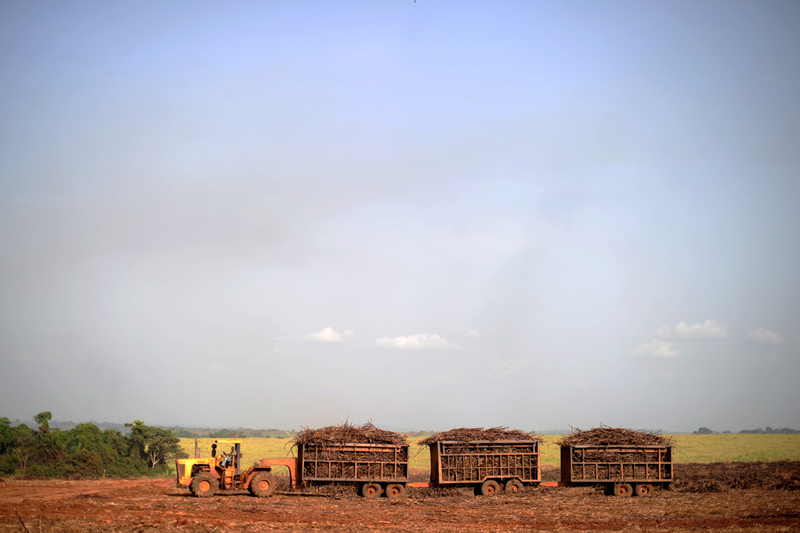 Through its subsidiaries SOMDIAA operates sugar cane plantations in six countries including Chad, Cameroon, Congo, Côte d’Ivoire, Gabon and the Central African Republic. The Group also has extensive expertise in wheat, corn, soy, rice and sorghum (annual and biennial) polycultures. To understand the sugar cane farming process, click on the “View animation” button. SOMDIAA makes the most of its natural resources (agro-industrial by-products such as bagasse, scum, plant residues, droppings), domestic and local resources (hydrocarbons, lime, wood, workforce pool, work site subcontracting) as well as international resources by encouraging the import of complementing goods and services (central buying office, expertise and equipment) as synergy vectors. Variety selection helps to isolate the sugar cane varieties that are the most resistant, the best suited to soils and the easiest to harvest. GPS-guided optimization of farming machine passes. Electrical resistivity-based soil mapping technology making it possible to tailor plantation specifications and frequencies. SOMDIAA Group also invests in team development. To that end, the Group has led joint efforts with international institutes of technology specialized in tropical agricultural science. SOMDIAA Group applies both rain-fed and irrigation modes of production (spray irrigation with self-propelled travelling sprinklers, droplet irrigation, etc.). Protecting cultivated land against erosion. Acquired fertility maintenance from a biological and chemical point of view. Pest animal and disease control. Ecosystem balance protection (useful fauna, etc.). Agricultural settlement rural zone development (labor, training, health, education and soil development). SOMDIAA Group produces and markets various types of sugar in Africa for consumers and agro-industrial businesses. Its expertise stretches from sugar cane farming all the way to sugar distribution and industrial transformation. All sugars are made of 100% sugar cane. SOMDIAA Group sees to it that every applicable international food safety standard is rigorously complied with (traceability, physico-chemical and microbiological inspections). This cane sugar, which is rough-crystallized, has a strong taste of molasses. Brown sugar is greatly valued by household consumers to sweeten hot drinks, yogurts and syrups. Golden sugar, which is particularly appreciated for its warm color and exotic flavors, is used for infant food and baked goods, and by cafés, hotels and restaurants as well as biscuit and confectionary makers. Its taste evokes the very essence of sugar cane. This white but unrefined cane sugar is appreciated for its strong sweetening power. White cane sugar is highly valued among consumers as well as among pastry makers and traditional product manufacturers for its post-crystallization sheen. Crystallized sugar is made from white refined sugar and is a gourmet sugar at its best. It is mostly used by consumers, pastry makers and traditional products manufacturers. Featuring a bigger grain size coarsed-grained crystallized sugar is much appreciated by the most demanding consumers. It is mostly used by consumers, traditional products manufacturer and confectionery makers. This granulated sugar, a premium rough-refined granulated sugar, meets the exacting requirements of agro-industrial companies such as carbonated drink and beer makers. A great favorite among city dwellers, lump sugar, whether white or golden, is an ideal and convenient solution to sweeten drinks and dairy-based products. It may also be used by traditional product manufacturers, who find it easy to measure the quantities used. A sugar loaf is mass-crystallized sugar obtained through a slow pan-cooling process in a cone-shaped form. It is sought for by nomad consumers for its long storage capacity and its convenient packaging. In 2008 SOMDIAA Group created the first African regional sugar brand : Princesse Tatie. This sugar brand is marketed in Cameroon, Chad, Congo, Ivory Coast, Gabon and the Central African Republic. Princesse Tatie is SOMDIAA Group’s assertion of African identity, taking great pride in producing a premium sugar that is 100% African. Princesse Tatie reflects one of SOMDIAA Group’s core values, i.e. a drive to pursue excellence in terms of product quality. As such, SOMDIAA Group aims at developing a strong brand dedicated to promoting sugar produced and marketed in Africa in accordance with international standards. Princesse Tatie products, which are only sold on African consumer markets, are available in all kinds of packages to meet market needs: single-dose packaging, loaves, lumps, 1-, 5-, 25- or 50-kg packaging.